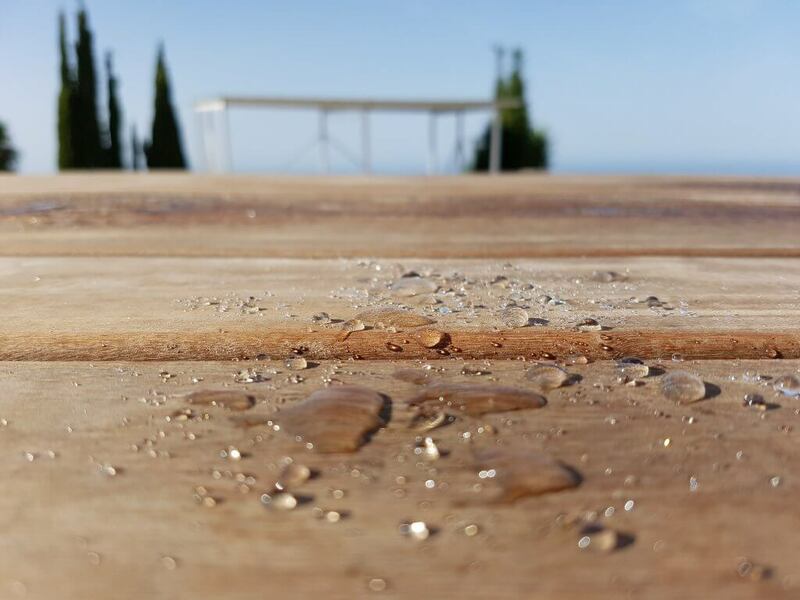 proPERLA® Wood Impregnator is a water-based solution designed with the latest nanotechnology. It protects wooden surfaces such as hardwood terraces, beams or wooden boards against premature ageing. Thanks to its extreme beading effect, it effectively prevents the shrinkage or splitting of wood.As the surface remains constantly dry, microorganisms can not adhere and green growth of green is drastically minimized.